I promised a follow up on this project, so here it is! I made another road trip down to the building site to check on the status of the project and like you would expect with any project like this - it didn't go perfectly as planned; but thankfully I had a backup plan (which worked) and have the opportunity to make adjustments. I was confident that the system would operate without power issues for a few days. The concern was if the power being provided by the solar panel to top-up the battery was sufficient enough - the power being drawn needs to be lower than the amount added. In theory; since the battery was rated to support 36 Amp hours and the Arduino Yún drains approx 300mA and I assumed the BlackBerry Z10 would draw 750mA only when needed to top-up the internal battery - the 15W 1A solar panel should be sufficient. Unfortunately - not. 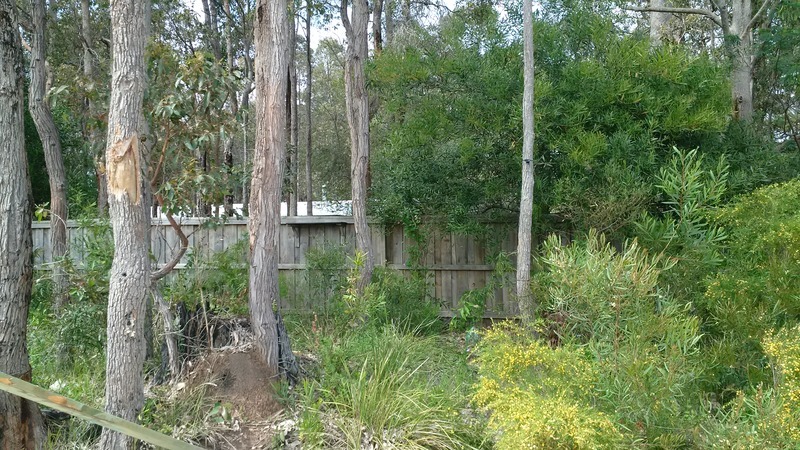 The solar panel was rated produce max 1A in optimal conditions, however this typically requires direct sunlight and since the plan was to conceal the deployment and it was nested amongst trees and shrubs - even with summer approaching, the days are typically overcast and the battery dropped from a nice charge of 13.1V (full = 12.6V) all the way down to 12.0V - it would be fully discharged when it hits 11.8V; so I was running it close! 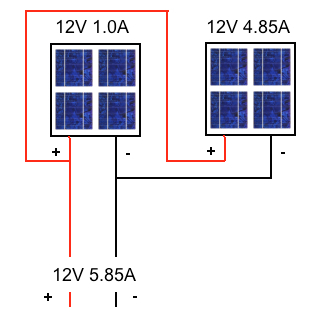 I did some research and I decided to pick up an additional solar panel and connect it in parallel with the existing one - placing them in different locations to maximize the rays from the sun (one may be in the shade, other in the sun). A setup pumping out a maximum of 5.85A in optimal conditions - using a multimeter I recorded a measurement of 2.50A in non-optimal conditions - more than sufficient. One of my neighbours informed the workmen of the setup - thankfully they were not too upset about it; they thought it was cool and I can also reposition the equipment. After three hours mingling with the builders - I saw the battery go from a stale 12.0V to 12.4V in spotty overcast conditions that confirms sufficient power is being routed to the battery to operate the setup and have enough left over to maintain a charge in it. I will make a visit in a week or so to make some progress photographs of the house from different angles (I should have setup a drone for a fly-by option) and hopefully confirm the setup is self-sustaining and be confident to keep an eye on things when I return to Europe.